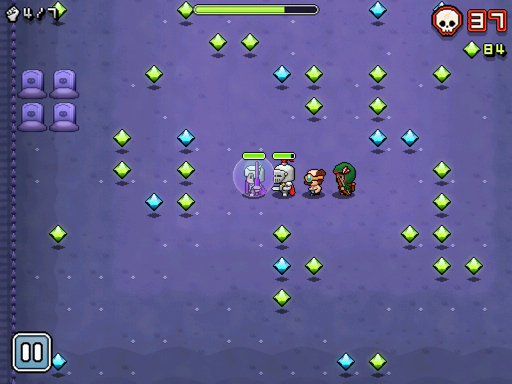 - Nimble Quest has RPG setting elements. You can play as archer, knight, wizard, mage, etc. The snake here is made by the characters ( archer, slasher, bomber, etc). Each character has different skills, you can upgrade it by pay with some gems, or defeat your enemies to upgrade your skill. Unlike , the regular snake gameplay. The snake here ( Nimble Quest) is limited long. The most long is 15 characters only. However, the long number of your snake is depend by how much stage you have been conquered. In the first time, you will play as knight only. After you unlock more character , you can choose which one to be your leader. If regular snake's game use fruits for growing. Here, you can get more characters randomly after defeat some enemies, also some part of your snake can be defeated, but it doesn't affect your snake as long as your leader keeps alive. 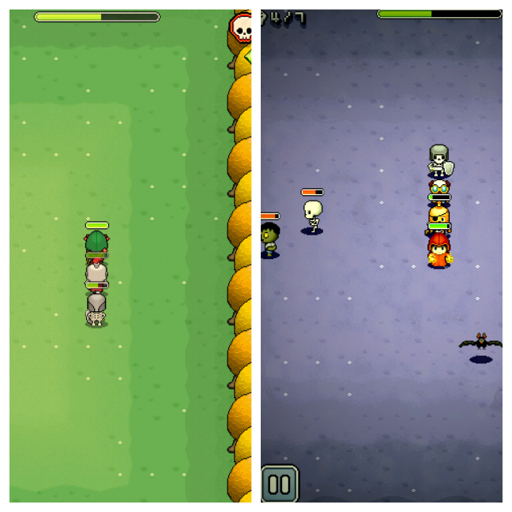 - Collect gems, and tokens during the game. Gems are used for upgrading the power ups or your characters. Tokens are used to play in the arena (bring the name of your guild... Yeah!) or you can use tokens to replay the current stage when you dead. Sound/ Music: 4/5 (Nostalgic, I remember Mario Bross when I listened to the victory music here.